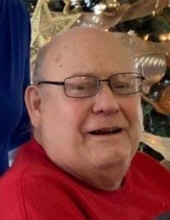 Bryan Lee Smith, 68 of Keokuk, IA died Friday, January 18, 2019 at Unity Point-Keokuk. He was born July 11, 1950 in Burlington, IA the son of Lawrence and Lena Heller Smith. On December 31, 1977 he was united in marriage to Sarah Krieg in Durham, IL. She survives. Other survivors include one sister, Kathy Marmion (Bill) of West Burlington, IA, one brother, Larry Smith (Leah) of TX and several nieces and nephews. He was preceded in death by his parents and one sister, Cheryln Jordan. Bryan graduated from Burlington High School in Burlington, IA with the Class of 1969. He later furthered his education and graduated from Southeastern Community College also in Burlington, IA. He had been employed at Case in Bettendorf, IA. Bryan was a member of First Christian Church in Keokuk. He loved his furry friends, his beloved cats. Memorials may be made to First Christian Church or PAWS No Kill Shelter. "Email Address" would like to share the life celebration of Bryan Lee Smith. Click on the "link" to go to share a favorite memory or leave a condolence message for the family.